The book called The international guide to new age music by Henk N. Werkhoven is the most ambitious work about this genre. The book came out 14 years ago, and no new editions have so far been released. But it is still a nice resource for everyone who is into new age music. The book contains a heartfelt foreword by Henk N. Werkhoven, and then a nice introduction to the genre by Steven Halpern. I don’t agree with the selection of artists though. Major artists like Enya, Enigma, Tangerine Dream or Mike Oldfield are not even mentioned here, and they were just as important 10 years ago. It is almost like creating a guide to classical music and not mentioning Mozart or Bach… But I understand Werkhoven’s focus on dedicated new age music artists and labels, as a contrast to major pop artists. And that’s ok. It is still a good guide, because the artists here are indeed some of the finest. 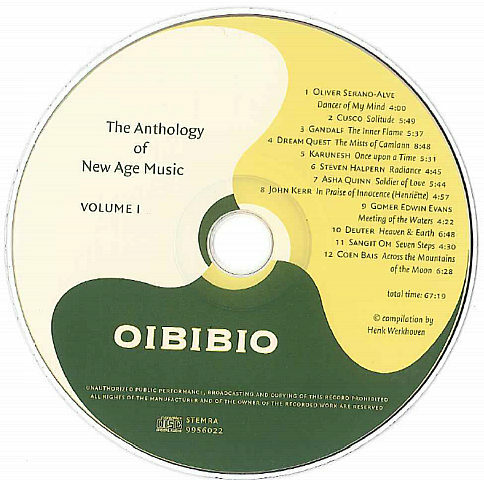 Since The international guide to new age music is 14 years old, you can get the book and CD for a few dollars. A good buy indeed. Available through Amazon.